Introducing ZzzQuil - A nbsp; Non-Habit Forming Nighttime Sleep Aid for When You Just Need a Good Night s Sleep br From the makers of Vicks NyQuil 1 list-style-type:disc 1 For the relief of occasional sleeplessness, reduces time to fall asleep if you have difficulty falling asleep 2 Non-habit forming 3 Warming berry flavor 4 Not for colds. Not for pain. Just for Sleep. 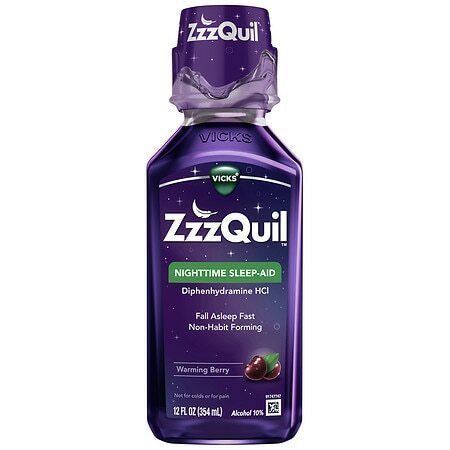 ZzzQuil Nighttime Sleep-Aid Liquid Warming Berry - 12 oz. 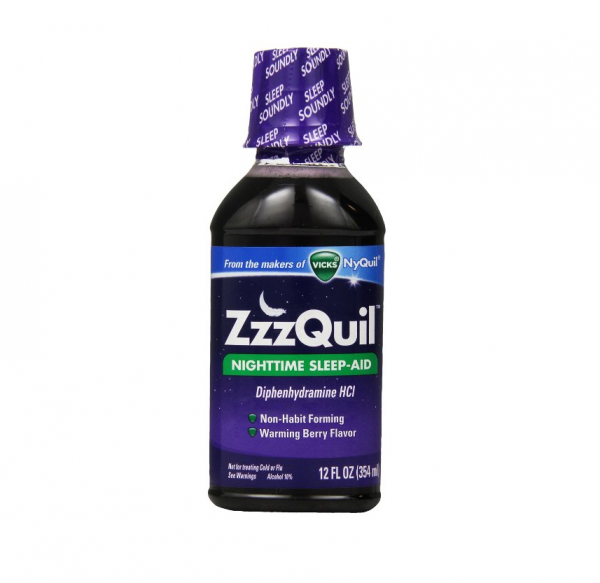 ZzzQuil Nighttime Sleep-Aid Liquid, Warming Berry?